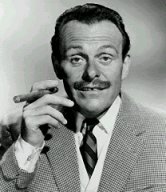 If you ever find yourself in a situation where you need to make a stunning riposte to an American over matters of language or pronunciation or other cultural shibboleths (for example, you have been ridiculed for using the word “Aluminium” or “Jam”), simply ask them to repeat the sentence “Merry Mary married hairy Harry”. The resulting vowel sounds should be remarkably and hilariously uniform, coming out something like “Merry merry merried herry Herry”. You can have a good laugh at that as you flee behind something bullet-proof. I should add here that I’m half-American, so I’m not just being nasty for the sake of it. How you use this information is your own affair.